Nokia E50 is a candy bar styled monoblock quad-band smartphone by Nokia which aims primarily for the corporate business customers. E50 runs on Symbian OS (9.1) + Series 60 v3 and features push mail support for Nokia Intellisync Wireless Email, BlackBerry Connect, Visto Mobile, ActiveSync Mail for Exchange, and Altexia. Also include in specifications are GSM frequencies of 850/900/1800/1900 MHz support, ability to view Microsoft Word, PowerPoint, or Excel attachments, and PDF documents, GPRS, EDGE, Bluetooth 2.0, 1.3 megapixel digital camera and video recorder, MicroSD memory-card expansion slot, speakerphone, offline or flight mode, and function as digital music player which supports AAC, AAC+, AMR (NB-AMR), eAAC+, MP3, RealAudio 7,8,10, True tones (WB-AMR) and WAV. No support for UMTS, Wi-Fi, or FM radio though. About Nokia reviews Nokia E50 from Nokia Eseries mobile phone and concludes that “if you are looking for an small and affordable businessphone and WiFi and 3G isn´t that important I recommend taking a closer look at the Nokia E50. Many reviews predict that this device will be the next Eseries bestseller. And I would like to point out that this phone is not only for business users. 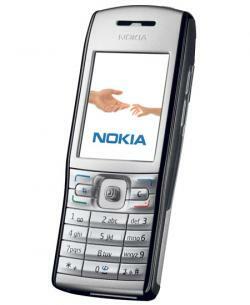 If you have been looking at the Nokia 6233 why not take a closer look at the E50? The E50 will give you a lot more and the price is nearly the same (the 6233 is faster (not a smartphone) and has a better camera, though)”.